Your Personal Bolivia Travel Guide! Hola! I'm the webmaster of BoliviaBella.com. I've been living in Bolivia since I was 9 years old. Would you believe that I began creating this website in 2007 as a hobby? I thought I was simply creating an easier way for my friends and family to learn about Bolivia, but soon found myself a bit shocked (understatement of the year) by the number of people who were viewing it (thousands per day). By just it's 10th month online, BoliviaBella.com was ranking in the top 1% of all websites worldwide and people from over 190 countries were visiting to find interesting facts about Bolivia. I had no idea people were so thirsty for information about this country that I love so much! When I began to receive hundreds of messages filled with questions every month, and when people all over the world began to tell me that they were planning all their travel, or making the choice to sell everything they owned, leave their country behind, and move to Bolivia based on the information contained in this website... I knew that this wasn't just for fun anymore. That filled my heart with a huge sense of responsibility! Today BoliviaBella.com is the largest and most searched Bolivia travel site in the world in the English language, and now contains thousands of pages filled with Bolivia facts and information. Our focus is not exclusively on tourism. We know you'll travel to Bolivia for business, to live in Bolivia, or perhaps you're planning to study or volunteer in Bolivia for just a little while. BoliviaBella.com is different from any other. 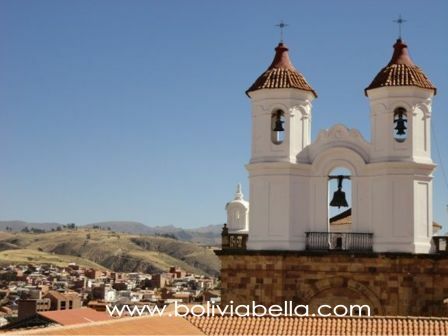 It is one of the most highly trusted Bolivia travel sites on the net because every page has been written by myself or others who actually live and work in Bolivia. In addition, hundreds of travelers have returned to the site to contribute their Bolivia travel stories and pictures through our numerous Bolivia forums, as I hope you'll do. Nothing is added to our site unless someone has been there in person. Like I said, we don't publish anything unless someone has personally eaten at a restaurant, enjoyed the cushy pillows (or woken up with a backache) at a certain hotel, laid down on the scratchy salt of Uyuni to take goofy photos... you get the picture. We don't copy or inform ourselves from guidebooks (most of which contain information that is at least 1 year old before their publish date) nor do we copy-and-paste information from the internet as other websites do (we know, we get plagiarized all the time and we know exactly who they are). No... we do things differently. We go, eat, play, visit, take the pictures. But Bolivia is a bigger country than most people realize. (It's the size of Texas and California combined!) So I'd like to invite you to be a part of ensuring the information on our website is always freakin' fresh, ultra updated and stupendously superior! What does any of this have to do with you? 1) We would sooo love to list every restaurant, café or pub in every city of Bolivia so that when you're traveling, you'll know where to best spend your money on food... or not! There's only one problem. We can't eat that much! So when you sit down to eat somewhere, would you consider sharing your experience by posting a few restaurant reviews? 3) Consider sharing your Bolivia travel stories, photos and videos. If you are currently living in Bolivia, please tell us your expat stories. We'll credit you and your story will reach a worldwide audience. 4) Do you blog about Bolivia? I do. Every travel article that runs through BoliviaBella also runs through our blog, which currently has over 60,000 subscribers. Consider sharing your blog with us or allowing us to post a link to it. All you have to do is contact us and point us to it. 5) If and when you find that any piece of information on BoliviaBella is outdated or incorrect, please let us know and help us update or correct it. We constantly review our pages, but with over 5000 of them, we don't always have the chance to do that right away. Why on earth would you do that!? Because it was never my goal to create the world's largest website about Bolivia. My goal is to create the world's most correct website about Bolivia. Isn't that what you were hoping for when planning your trip? I'd be honored if you'd play a part in helping me by paying it forward to others.